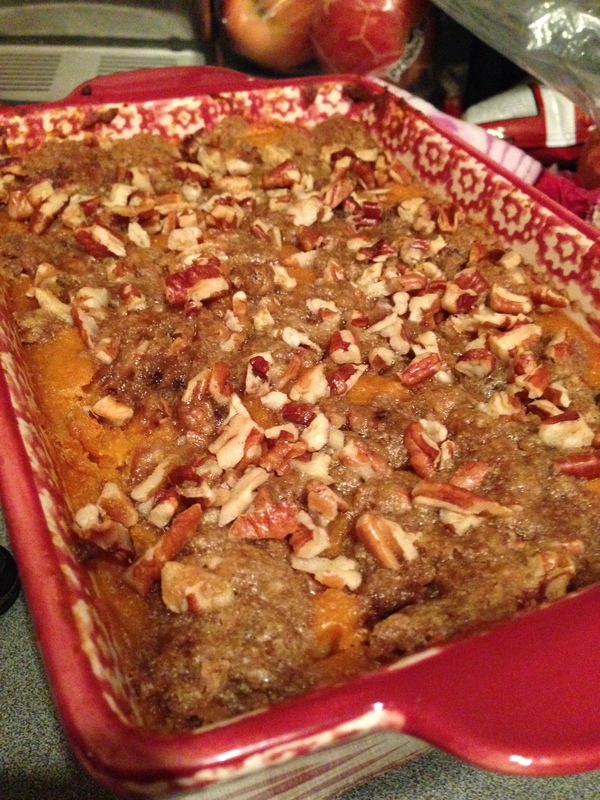 Try this perfect dessert casserole instead of cakes and pies for your thanksgiving dinner. Just the right amount of sweetness while still maintaining the servings of vitamin A from the sweet potato. 1. Combine brown sugar, flour, nuts and butter in mixing bowl. Set aside. 2.Preheat oven to 350 degrees. 3. Combine sweet potatoes, sugar, salt, vanilla, eggs and butter in a mixing bowl in the order listed. Mix thoroughly. 4. Pour mixture into greased baking dish. 5. Sprinkle the surface of the sweet potato mixture evenly with the crust mixture. 6. Bake for 30 minutes. Allow to set at least 30 minutes before serving.